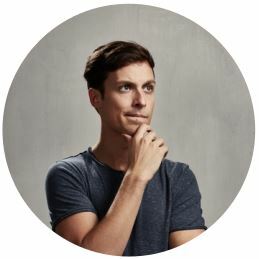 There are two factors that combine to give us 16 unique personality types: 1) the functions comprising each type’s functional stack and 2) the hierarchical arrangement of those functions. Before considering the method for determining the functions in each type’s functional stack, we must first discuss the hierarchical ordering of the functional stack. In each type’s functional stack, the four functions are ranked according to their degree of strength or “consciousness.” The most differentiated and conscious function in the stack is appropriately named the “dominant function.” It is followed by the auxiliary, tertiary, and inferior functions respectively. The dominant function represents the core strength or defining characteristic of each type. INFPs. When engrossed in activity that fully engages our dominant function, we tend to feel alert and alive, doing what we were “born to do.” The auxiliary function, which can also be well-developed and useful, might be viewed as the co-pilot or sidekick to the dominant. 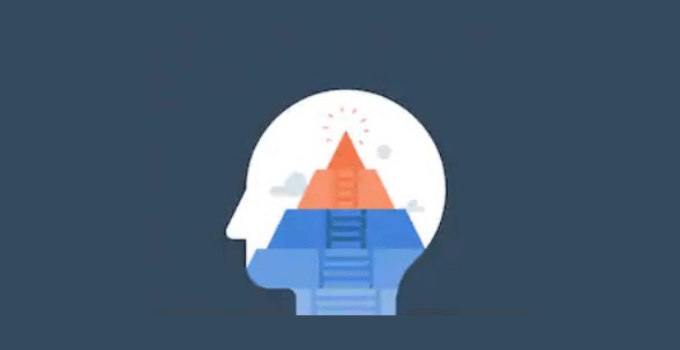 Falling toward the bottom of the functional stack, the tertiary and inferior are significantly less conscious and developed than the top two functions. Despite being less conscious, however, these functions, particularly the inferior function, play an important role in each type’s personality dynamics. Sidekick to the dominant function. 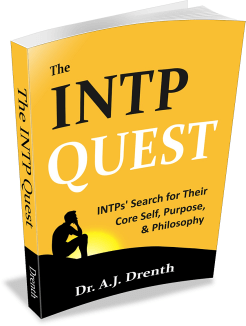 In considering the functional stack of the INTP, you may have noticed something curious. 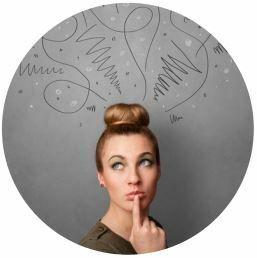 Namely, INTPs (and all other types for that matter) use a Thinking, Feeling, Sensing, and Intuition function. This may be a bit confusing at first, since there is no indication of Sensing (S) or Feeling (F) in INTPs’ I, N, T, or P preferences. If you look carefully, however, you will notice that their S and F functions are situated below their T and N functions. This tells us that INTPs prefer to use T and N (or more specifically Ti and Ne) more than S (i.e., Si) or F (i.e., Fe). How do we know which functions a type will use? We will now consider the method for determining which functions (Ni, Si, Te, etc.) will comprise the functional stack for a given personality type, as well as their hierarchical ordering. While this can be a bit confusing at first, I assure you that, in time, it will make more sense. Our first rule (or observation) is that the dominant function for extraverted types (e.g., ENTP) is always an extraverted function (e.g., Ne). Since extraverted functions are more readily observed from without, one can often discern the dominant function of an extravert simply by observing them. Because introverts’ dominant function is always introverted (e.g., Ni), it is largely concealed from outsiders. So what outsiders typically see from introverts is their auxiliary function. In other words, what one observes (from without) in an introvert is not their signature strength or “best self,” but what really amounts to their “second choice” (i.e., their second / auxiliary function). Our second rule is that J-types preferred extraverted function is a Judging function. Therefore, all J-types will use an extraverted Judging function (Te or Fe) as their dominant or auxiliary function. P-types, by contrast, will always use an extraverted Perceiving function (Se or Ne) as one of their top two functions. Extraverted Types: Reveal / extravert their dominant function and introvert / conceal their auxiliary. Introverted Types: Conceal / introvert their dominant function and reveal / extravert their auxiliary. IJs conceal Si or Ni, reveal Te or Fe. IPs conceal Ti or Fi, reveal Se or Ne. 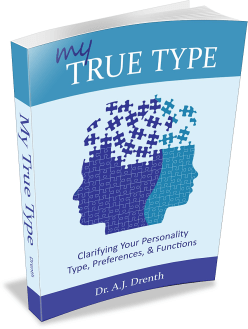 Each personality type uses two of the available function pairs in its functional stack. As we’ve seen, INTPs’ dominant function is Ti. Since we know Ti is always paired with Fe, we know that INTPs must also have Fe in their functional stack. In the same way, knowing that INTPs use Ne, we also know that they use Si. Hence, by memorizing the function pairs it is easier to remember (or deduce) the functional stack for each type (e.g., if you know that INTPs use Ti and Ne, you can deduce that they use Si and Fe). But why is Fe considered to be INTPs’ inferior function, instead of, say, their auxiliary or tertiary function? In large part, we know the relative “strength” of each function through the inner experience of the types. For instance, INTPs’ know, from within, that F is their weakest or “missing” function. They find it very difficult to contact their feelings and emotions (the same is true for types with a dominant F function with respect to T, those with dominant N with respect to S, or those with dominant S with respect to N). 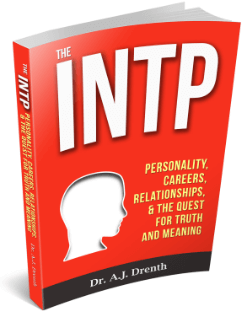 We also know that INTPs are quite comfortable and skilled with using Ne, which is why it is considered their auxiliary function. Therefore, the functional stack cannot only be discerned theoretically (e.g., Ti and Fe are theoretical opposites), but also by understanding the degree to which each type experiences or exhibits strength with a given function.